Seventeen (Hangul: 세븐틴), also stylized as SEVENTEEN or SVT, is a South Korean boy group formed by Pledis Entertainment in 2015. The group consists of thirteen members divided into three sub-units, each with a different area of specialization: a 'Hip-Hop Unit', 'Vocal Unit', and 'Performance Unit'. 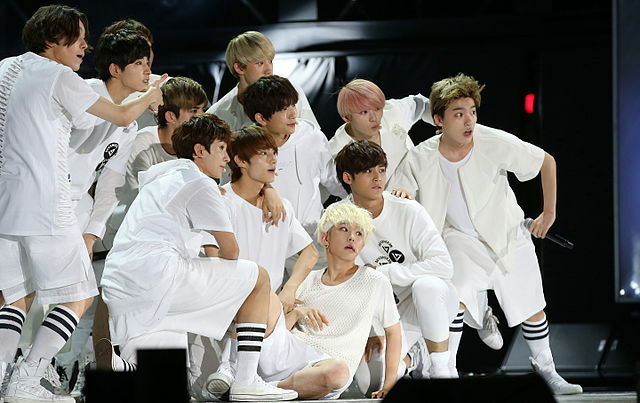 Seventeen has released two studio albums and four extended plays. The group's members are deeply involved in the composition and production of their discography and choreography and have been since debut, which prompted their nickname as a "self-producing" idol group.